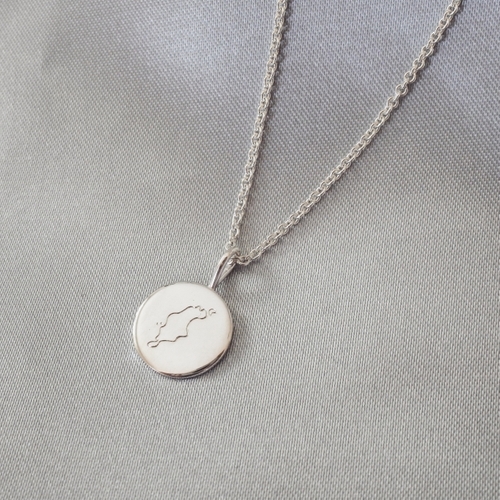 This necklace is made in 925 sterling silver with the siluette of Gotland hand engraved on it. The chain is 45-50cm long. Do you want something other engravings on a pendant like this? Email me at contact@malinivarsson.se. 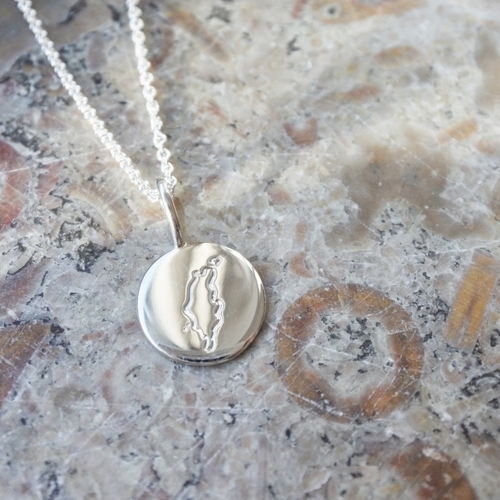 This piece of jewelry is made in Sweden & engraved by hand on Gotland.